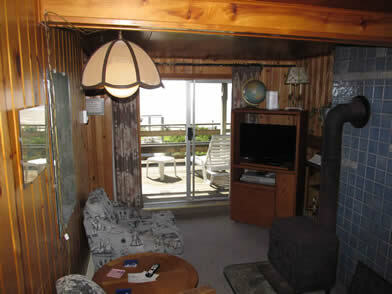 Ocean view from sliding glass door and sun deck. 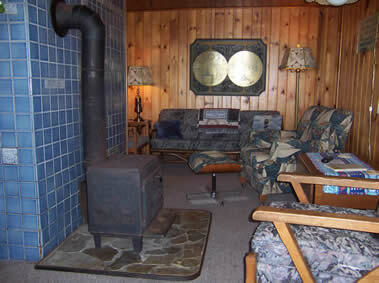 The main studio has a fully equipped kitchen, queen bed, bathroom with shower, cast iron wood-burning fireplace & flat screen cable TV/DVD/VCR. five people. 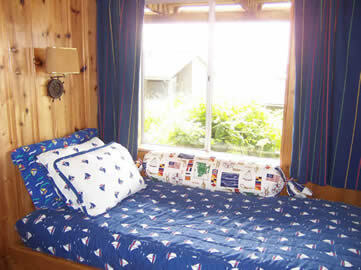 Knotty pine and nautical decor throughout. 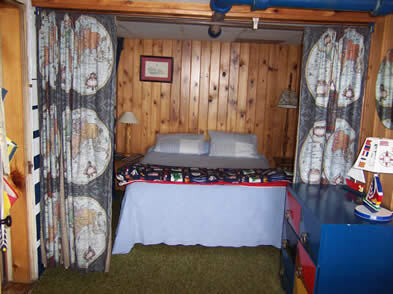 The "Crew's Quarters" an optional bedroom with a queen bed and a twin bed. You can see the ocean from the twin bed. 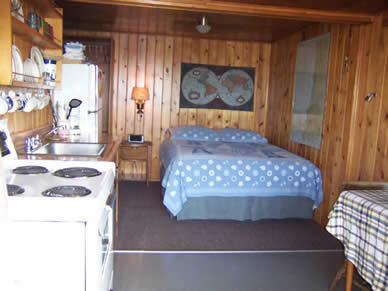 This room is adjacent to the kitchen, "Crew's Quarters" remains unoccupied if you choose not to rent it with the main studio. in "Chart Room & Crew's Quarters"